More leads may reduce sales opportunities – Check your December data! Here’s a situation that’s not uncommon when selling enterprise storage or data management products: a firm generates an increasing number of marketing-qualified leads, but the percentage, or even the volume, of sales-qualified leads drops. Obviously, the quality of the leads should be questioned. But what if the lead sources are the same? Why are the new leads not as good as the old leads? Before you kill your marketing programs you should look at your December data (or any other short month for business). You’ll likely find a very a strong correlation between the time the salespeople spend actually talking with prospects and the number of sales-qualified leads. In other words, if the salespeople are not connecting with prospects, leads will not convert from marketing-qualified to sales-qualified. The number of man-hours dedicated to talking with prospects, and the quality of the initial sales pitch, are far more likely to determine the number of sales-qualified leads than the source of the lead. The holiday season can highlight this often overlooked fact, especially if you don’t track the actual number of sales conversations. Unfortunately, the sales bottleneck is not always recognized, especially when many marketing programs are running and evolving at the same time. 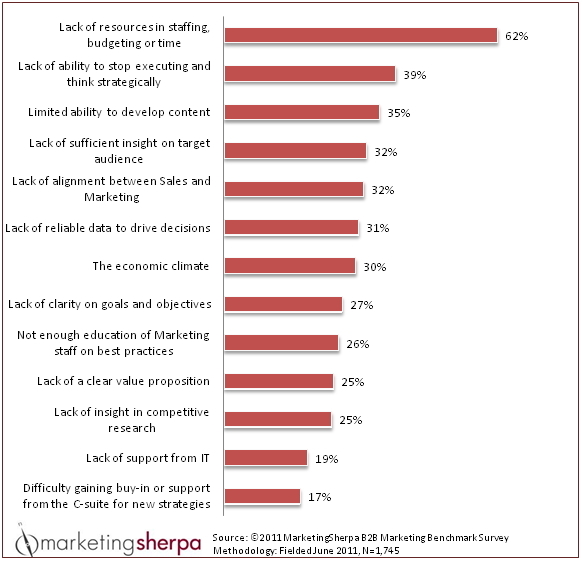 It’s easier to conclude that a marketing campaign is failing, or worse, that marketing as a discipline does not work. It’s natural to assume that if you increase the number of marketing-qualified leads, the number of sales-qualified leads will increase at the same rate. However, that is only be true if the sales team also increases its bandwidth to process them. Think about the logistics (optimistic for complex/expensive IT products): A salesperson with time for qualifying leads makes an average of 60 calls per day. With an average of 3 attempts required to reach a prospect, they can talk to 20 prospects per day. With an average of 17 dialing days per month, one dedicated salesperson can talk to 340 prospects. If 5% have an open project, budget and authority the salesperson would convert 17 marketing-qualified leads to sales-qualified leads per month. Put another way, that’s 17 sales-qualified leads per 1020 dials assuming you have a large team of salespeople and can average the data. Obviously, a single salesperson talking to 20 prospects for 15 minutes each would require over 5 hours of talk time and would not be making as many dials. If the overall bandwidth does not increase, individual salespeople are put under pressure to quickly “work through” the backlog of leads before they go “stale”. Nobody wants to have a large number of “Open”, “New” or “Unopened” leads next to their name in the CRM system. However, the salespeople can only make a limited number of calls in a day so they only try to reach each prospect once or twice before they move on. Best practices call for 5 to 8 call attempts, so while they make many calls, they have fewer timely conversations. As such, they don’t identify as many sales opportunities. Additionally, pressure to clear a backlog may result in less thought going into a customized sales pitch – again depressing the number of sales opportunities. Even successful sales calls can result in fewer sales-qualified leads when there are more leads than sales bandwidth. Typical enterprise sales are complex. They require research, demos, evaluations, team selling, etc. so once an opportunity becomes “hot” the salesperson has less time to work on new opportunities. Because they have an opportunity in-hand and less time, their criteria to qualify new leads gets more stringent, again reducing the number of sales-qualified leads. In conclusion, bandwidth is not just an issue for engineers to consider in their storage and data management products, it’s also an issue for the CEO, CMO and VP of Sales to consider when selling those products. Purchased Lists vs. Online Advertising: Which is best for marketing storage and data management products? It’s very unwise to pick just one promotional strategy and exclude all others, but it happens a lot among start-ups in the IT industry. Typically, the underlying problem is money. The firm has a very limited promotional budget so they bet it all on a single promotional strategy. More often than not, inexperienced marketers at these cash-strapped start-ups purchase a list of prospects to email and call. After all, the list is affordable, email is almost free, and the sales team can start dialing on day one. From that same perspective, online advertising is ruled out because it is obviously expensive, it takes more time, and the number of callable contacts is expected to be relatively low. However, choosing a purchased list over online advertising is invariably a bad bet. Advertising: The more expensive pay-per-lead adverts average $60 per lead. However, while the cost-per-lead (CPL) is expensive, these contacts are leads insofar as they have requested one of your resources (e.g. a white paper). Such leads result in a “warm” contact list. Purchased Lists: A contact on a list costs more or less $5, depending on the criteria chosen. The cost per contact is relatively low, but they haven’t taken any action to demonstrate even a passing interest in your offering. A purchased list is a “cold” list. The cost of email is almost free. It’s usually not a material factor. The net result: Generating a desirable action from the $60 online advertising leads costs ~50% less than generating the same action from $5 purchased contacts because the response rates are significantly higher for warm lists. Email clicks are easy to measure, but the lesson can be logically applied to other factors. While the cost of promoting using email may be close to free, the cost of promotion using a sales team is not. Because of the significant productivity difference, cost of a sales team employed to call a cold list will be higher than the cost of a sales team calling a warm list. You can easily test this for yourself and generate numbers for your own business. Your numbers may be higher or lower, but you will inevitably learn that a warm list is considerably more valuable than a cold one. This analysis assumes your firm has no ethical issues with emailing people who have not subscribed for your messages. 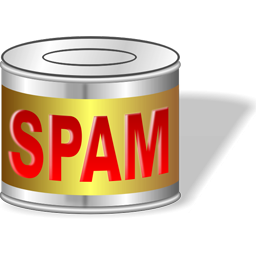 Such unsolicited emails may not be SPAM from the legal sense, but they are usually considered SPAM by the recipients. It’s certainly possible that a portion of the 99.95% of email recipients who do not respond to your unsolicited emails will in fact remember your brand and make a decision to avoid it at all costs. As a result, every campaign has the potential to diminish your brand among the carefully chosen audience you wish to sell to. I get it. The marketing budget of many early-round start-ups won’t support much online advertising. However, that budget crisis is usually the result of an earlier decision to invest other things. Typically, CEOs at these firms invest 90% of their sales and marketing budget in staff alone. They usually start by adding salespeople, but don’t reserve enough cash for the marketing programs necessary to feed that team. Soloed VPs can’t address this issue because the parameters of their world have already been set by the CEO and board. The result is a failure by marketing to deliver enough high quality leads to satisfy the needs of a relatively large sales team. However, the sales team also fails because they don’t have those leads. The CEO, CFO and VCs fail because of the lost time (multiplied by the company’s cash burn rate) and the destructive interdepartmental politics spawned by the imbalance between objectives and resources. A more prudent approach is to recognize the fact that sales and marketing are interdependent, not independent. You must invest proportionally in both. You must also recognize that marketing takes time and money and it often precedes the success of the sales team. My firm, Marketingsage, helps data storage and data management firms market to enterprise customers. One of our lead generation services is trade show support so we see a lot of shows. We also use trade show-timed PR to launch products and to seek quality speaking engagements for our clients. Therefore, we though it might be useful to maintain a list of top trade shows for marketers of enterprise storage and data management products. The following shows attract the same vendors year after year — a good sign that the show produces results for them. They also attract a reasonable number of like vendors. That’s important because sales lead results are often better when a firm is among a cluster of competitors rather than on its own. The list is far from comprehensive. There are a host of vertical shows that would be of interest to platform-specific or industry-focused vendors. I’ve just listed the bigger, more well known, shows frequented by enterprise storage and data management firms. Note: The start dates and locations listed can change from year to year. National Association of Broadcasters (NAB) – Mid April, Las Vegas. Billed as as the show “where content comes to life.” Listed as one of the Top Trade Shows (see below) with the highest Net Buying Influence (91%) and highest Total Buying Plans (59%). Top Trade Shows Notes for NAB and VMworld (4/12 update). Exhibit Surveys Inc. produces an annual Trade Show Trends report and highlights are usually published in the April issue of Exhibitor Magazine. The report compares various industries so it’s limited in its coverage of any one industry, such as IT. The IT-centric events in the 2011 survey included CES (consumer electronics), NAB (broadcast technology), RSA Conference (data security), Supercomputing and VMworld (virtualization). These are all good shows, but hardly representative of all good shows frequented by IT buyers. The Trade Show Trends report looks at many factors, but the two most useful are the Net Buying Influence and Total Buying Plans statistics. The Net Buying Influence number indicate the percentage of show attendees who have the power to recommend or make final purchasing decisions. The average Net Buying Influence for High Tech shows was 84% in 2011. That’s 3 points above the overall average of 81%. The Total Buying Plans number represents the percentage of attendees whom plan to buy within 12 months of a show. High Tech shows rate better than most in this category with an average of 46% in 2011, just below the overall average of 47%.